Come along to our FREE training sessions every Tuesday evening from 8.30PM to 9.30PM at Ashmole Academy starting again on 4th September 2018. North London Hockey is a partnership between Southgate Adelaide Men’s Hockey Club and Hendon & Mill Hill Ladies Hockey Club. It offers youth hockey training for boys and girls aged from 7 to 16 years. North London Hockey will be running coaching and squad selection sessions for children in Year 9 or below at Ashmole Academy again in 2019. For further information visit NorthLondonHockey and you can register your interest using this link. If you wish to pay by online transfer, please contact the Treasurer for details. Kit is available to order from our supplier Silverfx. For more info go to our Kit page. Forgotten the rules or a complete beginner? Find out more in a series of 2 minute videos on our How to Hockey page. @Heybournepark @NCRA_NW9 @GPOneStopShop @ColindaleLitter @KeepBritainTidy @Cleanup_UK @BarnetCouncil @LondonNPC @SaracensHighSch Apologies 😯- some of your community will be trying out for @BarnetSport Borough hockey teams on 27th April at Ashmole Academy. @HaveringCulture @LdnYouthGames We're looking for hockey players for Borough teams of Barnet and Enfield. 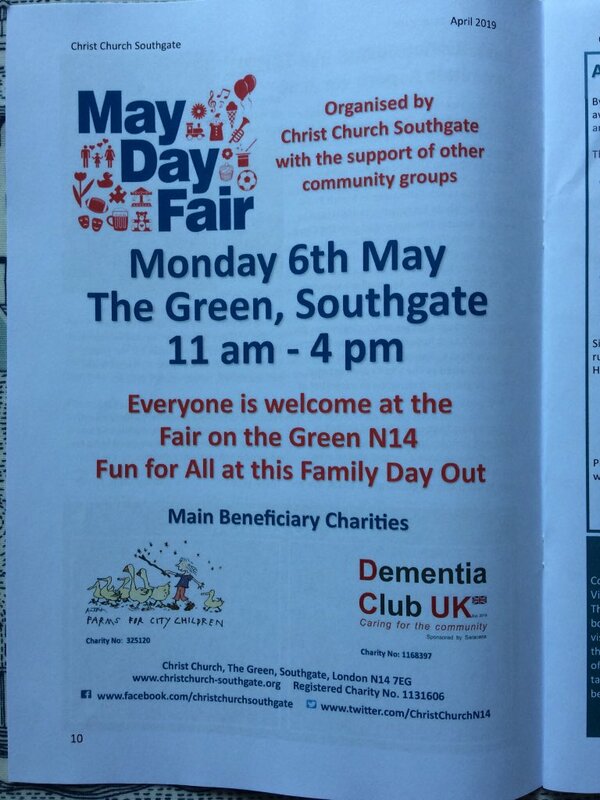 We look forward to seeing Havering in June at Redbridge. 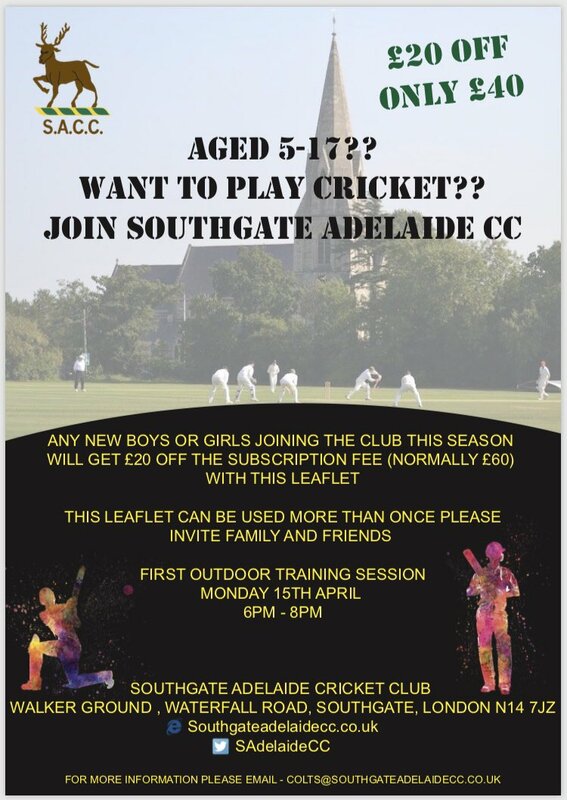 https://t.co/gIb5ZtkdGo and @LdnYouthGames Junior coaching moves to Saturdays (April-July) so it is possible to join our young players already playing 🏏Sundays for @SAdelaideCC. Just under 2 weeks before the season starts! Play at our picturesque ground! Our coaching team has grown again this years. We have more adult players than ever before coming to help coach and some big news coming in the next few weeks! Some of our Juniors played in a Tournament at Ashmole Academy against Waltham Forest HC. Don't they look great in the new North London Hockey kit? The Southgate Town Hall Staff War Memorials, originally situated in the main entrance to Southgate Town Hall, commemorate employees of Southgate Council who died in action in the two World Wars. They now have a new home in Palmers Green Library. The memorials were formally unveiled by The Mayor of Enfield, Cllr Saray Karakus, as part of a moving ceremony in the Palmers Green library at 11am on 30th January 2019, in the presence of relatives of some of the fallen. We were pleased to be joined at this ceremony by members of Southgate District Civic Trust, staff from Enfield Library and Enfield Museum, local community groups, as well as Civic Voice. Joanne McCartney our Assembly Member and a number of Councillors representing wards that formed part of the old Southgate Municipal Borough were also present. The military were represented by members of the 4th Battalion, Princess of Wales’s Royal Regiment and a bugler from The Welsh Guards. We are delighted that through the work of Southgate District Civic Trust members, staff from The Museum of Enfield, Enfield Library and the Local Studies team these memorials have been restored and are back on display. Time CONFIRMED: Start at 9am, finish by 11am (please arrive by 8:45am). No gumshield or shinpads - No play! Kit: Wear blue (if possible) - Bibs & sticks will be provided. Our Signing in/Out process will not operate, as we expect the child’s parent/carer to be watching them throughout. We will only register Juniors to assist the teams' selection. You will want to come prepared for all eventualities (rain/wind/sun/hail/hunger/thirst) for yourselves and your juniors. There MAY be a drinks & snack stand. There will be no charge for this event. An email will also be sent to those who have completed our online Registration Form. The mighty Adelaide scores. Christian Simon puts his name on the score sheet. Some places are available for Junior hockey coaching sessions in Southgate on the Barnet / Enfield border, as some teenagers are transferring to our senior teams. When we have enough confirmations, North London Hockey will set up a Waiting List. NLH's Junior hockey coaching is returning for the Autumn term (Sundays 9th Sep - 2nd Dec). We have returned the London Youth Games 2018 players to their home clubs and some of our teenagers are transferring to the senior Clubs, so we have a few empty places remaining. Additional Coaches will join the coaching crew (one starting 16th September) to provide coaching in smaller groups, within the cap of 32 Juniors/session. Boosted by the interest from our Women's World Cup in Lee Valley (Ireland did very well to get to the Final! ), we expect other clubs to advise their Waiting Lists which means that we may need our own Wait List. If your child is interested in playing hockey for the London Borough of Barnet OR the London Borough of Enfield in the London Youth Games, your e-registration will help the team selection. DO YOU WANT TO TRY SENIOR HOCKEY? Saturday 8th September - Astro-turf pitch, Ashmole Academy, N14 5RJ - near Southgate Tube.